I love my supplements. For me I know there is no way to get everything my body needs with diet alone, so I try to create a supplement routine based on how I’m feeling. Recently I was introduced to Tru Niagen. CLICK HERE for more information. Here is my Tru Niagen review after taking two capsules everyday for the past six week. 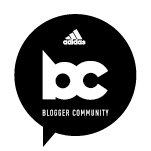 This post is in partnership with Tru Niagen. All opinions are my own and honest. Now the big question is why take another supplement daily. For me it’s a continued search for finding the perfect combination as I get older. I live a very high stress, fast pace lifestyle. Long hours, unexpected events, and overall I’m a pretty anxious person. I find with an overall low sugar diet, exercise, and my supplements I’m able to feel my best. 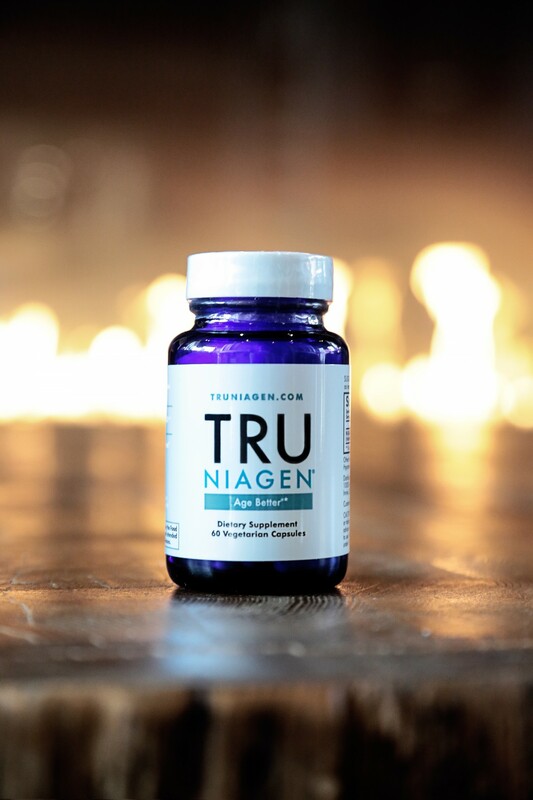 Tru Niagen is a complex form of vitamin B3, which contains the ingredient nicotinamide riboside. 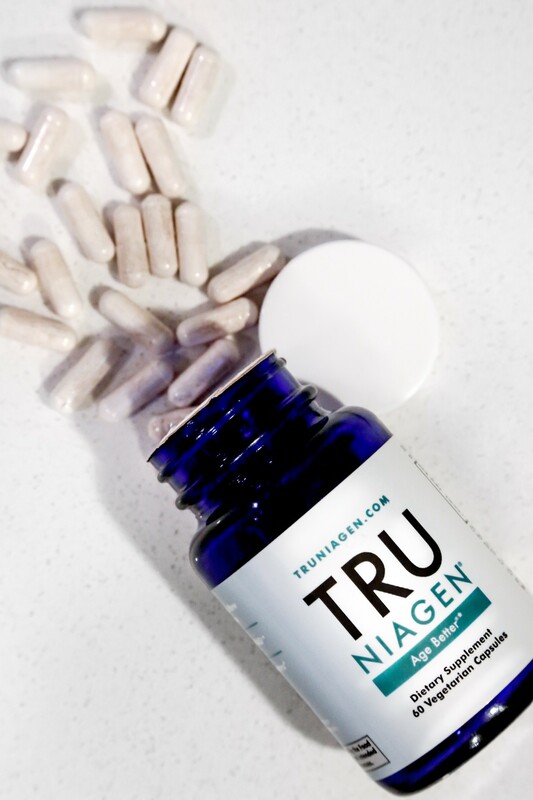 Tru Niagen has been clinically proven to safely increase your body’s ability to replenish NAD or nicotinamide adenine dinucleotide. Our bodies rely on NAD to function properly. NAD is also essential to help regulate our metabolism. Stress can deplete our NAD supply. Remember when I say I live a very stressful lifestyle? Well this is why I was interested in trying Tru Niagen. When our NAD levels are low our cells produce less energy or become slower at cellular repairs. As many of you may already know, I've experienced first hand how stress can effect my entire body during the last few years. We lose up to 50% of our NAD levels between the ages of 40 and 60. -By activating key enzymes involved in the repair of your tissues and DNA. It’s important to remember that when it comes to supplements, most take time. I personally like to give any new supplement at least 3 to 4 weeks of consistent use before making a decision. I’ve been taking Tru Niagen for about 6 weeks now. Overall I noticed I felt more energy. Normally around 3pm I have a slump, not horrible since I eliminated sugar from my daily diet, but still a bit sluggish. After a day or so on Tru Niagen I did notice the mid afternoon slump no longer seemed to happen. What really stood out was the week before my period I normally experience extreme fatigue. It’s hard for me to get up and all I want to do is nap. While there were a couple days that I wanted to sleep in, I definitely did not experience the extreme fatigue I typically do. I had enough energy to workout even though my schedule has been busier than ever. What I like about this is that while I am experiencing more energy, this hasn’t affected my sleep. If anything it’s actually helped me fall asleep faster and have deeper sleep. Now I don’t typically have sleep issues, but I like how my body seems to have regulated it’s natural clock. The capsules are vegetarian, gluten-free, nut-free, caffeine-free, and contains no animal byproducts, or artificial coloring. They are lightweight, small, and easy to swallow. 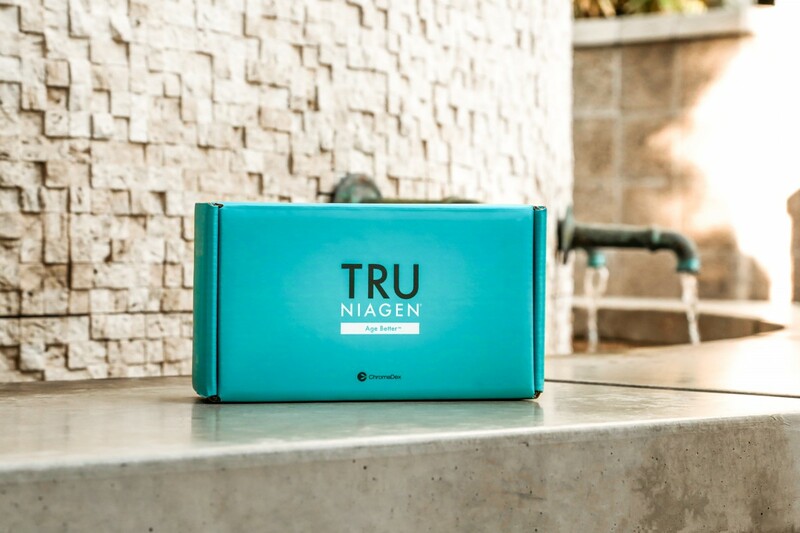 Tru Niagen has no known side effects and I’m happy to continue taking them as part of my daily routine. Is this something you think you’d like to try? Check out Tru Niagen HERE. Thanks for stopping by Jessi! That’s amazing! So happy to hear! Good to know Serein. Thank you for sharing! I think with New-Year resolutions around the corner, great to have options related to health. Love always! Hope you have a wonderful holiday season and Happy New Year!